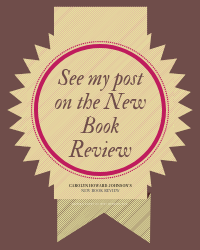 Once a post has been submitted to The New Book Review blog and published, please share your work with one of the buttons or the Twitter image on the post. Right-click buttons and images to save as to your computer or tablet, and then share on blogs and social media. IT'S A COMMUNITY. LEARN FROM OTHERS. SHARE WITH OTHERS. Imagine! A column that covers everything from free speech issues to Molly Ivins' contributions to journalism and the example set by Nobel Winner Naguib Mahfouz. If you love words, publishing and books, you'll love "Back to Literature." Past year's columns are carefully archived by MyShelf Editor Brenda Weeaks.